From the US-based Media Education Foundation, an incisive documentary with a roster of eloquent witnesses. Its title is self-explanatory: Peace, Propaganda and the Promised Land. An essential counter to the relentless wash of misinformation on Israel and Palestine that we get from mainstream media. See it here, on Vimeo. And please, pass it on. Categories: Authoritarian regimes, BDS, Boycott, crimes against humanity, Gaza, Human Rights, Israel, Justice, Media, military occupation, Palestine, Peace, Propaganda, Resistance, Uncategorized | Tags: Apartheid, BDS, boycott, divestment, Ethnic cleansing, Gaza, Israeli defence forces, Israeli government, Our Way to Fight, resistance, sanctions, the Promised Land, war crimes | Permalink. On August 1, The New York Times and other mainstream papers in the US and the UK published a full-page ad written by famous Holocaust survivor and campaigner Elie Wiesel. Part of a vast international propaganda offensive to justify Israel’s latest brutal war on Gaza and its decades-long occupation of Palestine, the ad was sponsored by This World: The Values Network. Wiesel assumes that by now, surely his readers will know which label applies to which party in the Middle East. Apparently some Jewish Holocaust survivors are not so sure. As Jewish survivors and descendants of survivors and victims of the Nazi genocide we unequivocally condemn the massacre of Palestinians in Gaza and the ongoing occupation and colonization of historic Palestine. We further condemn the United States for providing Israel with the funding to carry out the attack, and Western states more generally for using their diplomatic muscle to protect Israel from condemnation. Genocide begins with the silence of the world. Furthermore, we are disgusted and outraged by Elie Wiesel’s abuse of our history in these pages to justify the unjustifiable: Israel’s wholesale effort to destroy Gaza and the murder of more than 2,000 Palestinians, including many hundreds of children. Nothing can justify bombing UN shelters, homes, hospitals and universities. Nothing can justify depriving people of electricity and water. We must raise our collective voices and use our collective power to bring about an end to all forms of racism, including the ongoing genocide of Palestinian people. We call for an immediate end to the siege against and blockade of Gaza. We call for the full economic, cultural and academic boycott of Israel. “Never again” must mean NEVER AGAIN FOR ANYONE! The signers’ names (358 to date; more continue to sign on) and locations are posted here, on the International Jewish Anti-Zionist Network. Categories: crimes against humanity, Gaza, Israel, military attack, military occupation, Palestine, Propaganda, Uncategorized, war crimes | Tags: BDS, boycott, colonization, Der Judenstaat, divestment, Elie Wiesel, Ethnic cleansing, Gaza, Gaza City, genocide, Holocaust, Israeli defence forces, Israeli government, Middle East, Nazi genocide, Neo-Nazis, Operation Protective Edge, Our Way to Fight, Rabbi Shmuley Boteach, sanctions, The State of the Jews, The Values Network, Theodor Herzl, This World, United States, war crimes | Permalink. Desmond Tutu to the people of Israel: Liberate yourselves! Read Desmond Tutu’s stirring call to liberation here. Categories: BDS, Boycott, crimes against humanity, Gaza, International law, Israel, military attack, military occupation, Palestine, Peace, Resistance, Uncategorized, war crimes | Tags: Apartheid, Archbishop Emeritus Desmond Tutu, BDS, boycott, Desmond Tutu, divestment, Ethnic cleansing, Gaza, Haaretz, Israeli defence forces, Israeli government, Operation Protective Edge, Our Way to Fight, sanctions, South African apartheid, war crimes | Permalink. 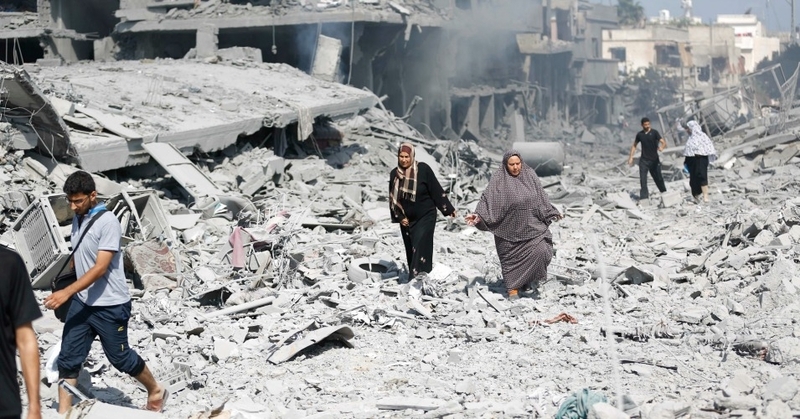 Gaza: Why do Israel and the U.S. insist on war? 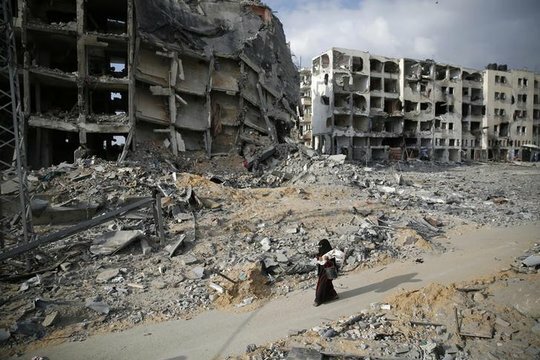 Gaza City, July 27, 2014. Photo: Oxfam International. The answer is here, in a well-documented account by Sandy Tolan, author of The Lemon Tree: An Arab, a Jew, and the Heart of the Middle East, and an associate professor at the University of Southern California. 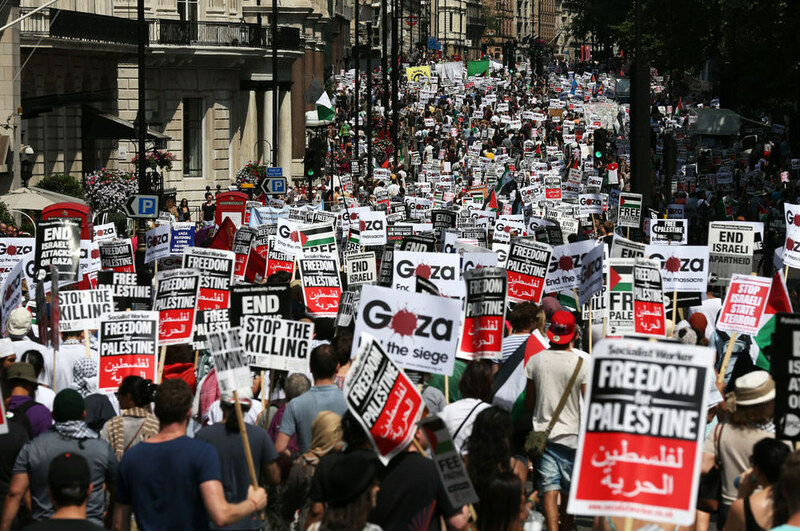 The only practical response that does not depend on goodwill or common sense from the Israeli or American authorities: the growing international grassroots movement for BDS – boycott, divestment and sanctions. Categories: BDS, Boycott, crimes against humanity, Gaza, International law, Israel, military attack, Palestine, Peace, Uncategorized, war crimes | Tags: Apartheid, BDS, boycott, divestment, Ethnic cleansing, Gaza, Gaza City, Israeli government, sanctions, Sandy Tolan, war crimes | Permalink. 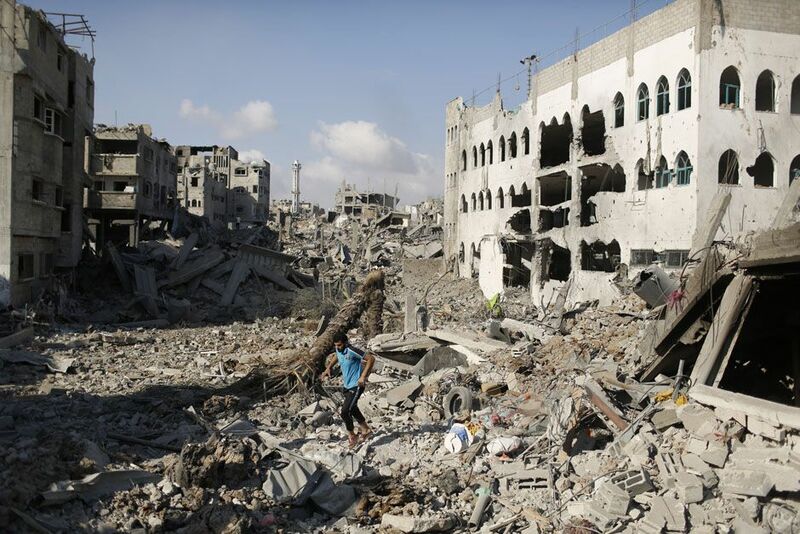 According to mainstream media, the terms of a ‘cease-fire’ are currently in negotiation between the elected government of Gaza and the elected government of Israel. The impact of Israel’s intentional destruction of health and education facilities, and water, sewage and electric infrastructure is beyond imagining. 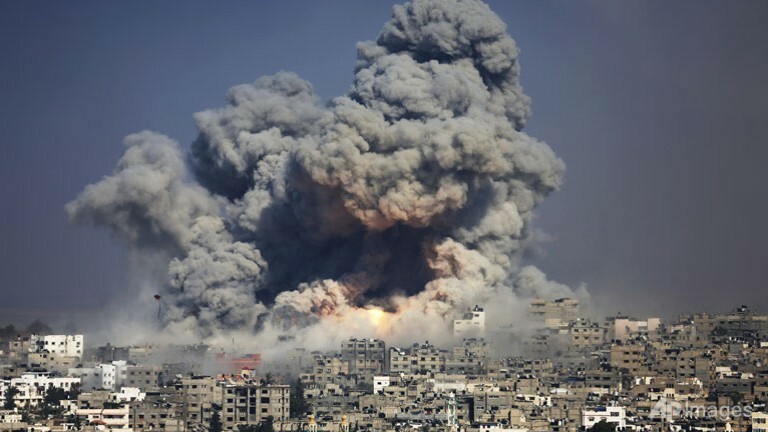 August 5, the same day Israel declared “Mission accomplished,” US President Obama signed a $225 million cheque, approved by Congress, to resupply Israel with missiles. Please read his eloquent call to the world, and give it wings by passing it on. It’s the least we can do. Categories: BDS, Boycott, crimes against humanity, Gaza, International law, Israel, military attack, military occupation, Palestine, Uncategorized, war crimes | Tags: Apartheid, BDS, boycott, divestment, Ethnic cleansing, Gaza City, Israeli defence forces, Israeli government, Israeli military, Palestinian Centre for Human Rights, President Obama, Raji Sourani, sanctions, US Congress, war crimes | Permalink.